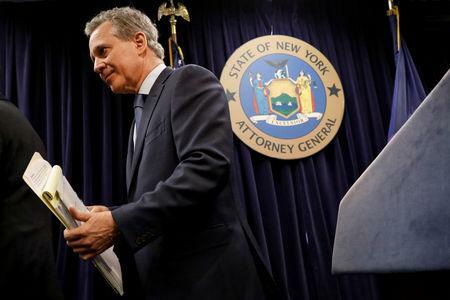 NEW YORK (Reuters) - Prosecutors said on Thursday they have decided not to bring criminal charges against former New York Attorney General Eric Schneiderman, who resigned in May after four women accused him of physical abuse. 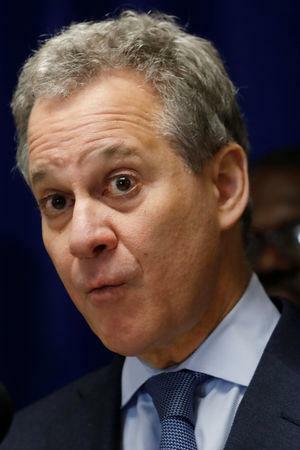 In a statement on Thursday, Schneiderman apologized "for any and all pain that I have caused," and said that after spending time in a "rehab facility" he was committed to "making amends" to those people he harmed. "I recognize that District Attorney Singas' decision not to prosecute does not mean I have done nothing wrong," he said. "I accept full responsibility for my conduct in my relationships with my accusers, and for the impact it had on them." 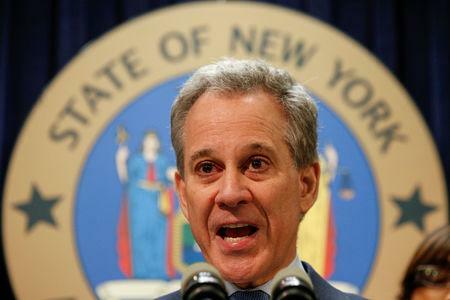 She asked state lawmakers to make it a Class A misdemeanor to commit sexual harassment, defined as the slapping, striking, kicking or shoving of someone without consent for the purpose of "sexual arousal or gratification."